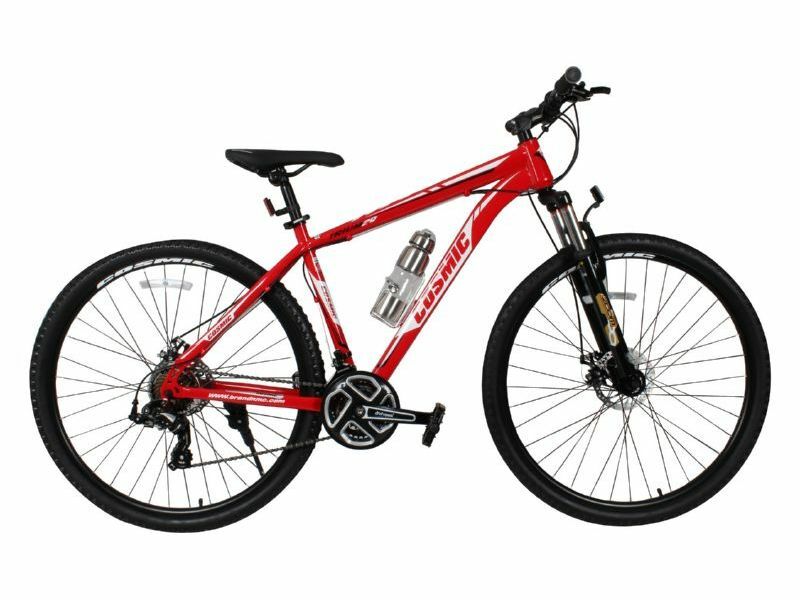 These offers are free with the purchase of the Cosmic Trium 29 Bicycle. The Cosmic Trium 29 is a Mountain Bicycle which has a Alloy Hardtail Frame. The Cosmic Trium 29 has Shimano Tourney front and rear derailleurs and Shimano EF51 Shifters. This MTB from Cosmic comes with Disc Brakes which are connected to Shimano EF51 Brake Levers. 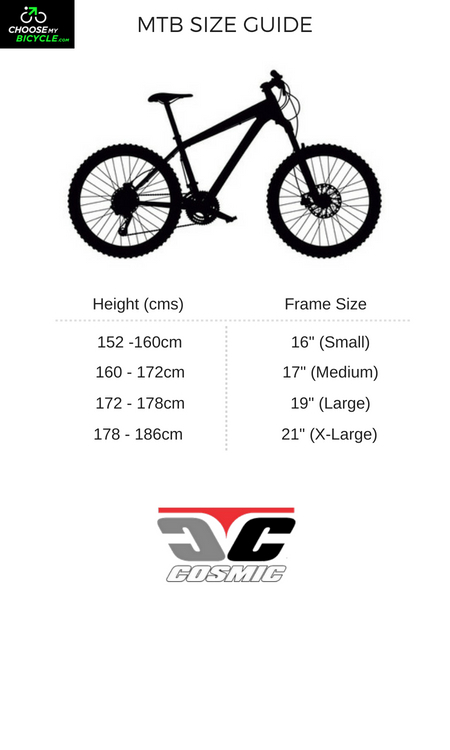 The Cosmic Trium 29 has a Zoom Suspension Fork with 60mm travel. 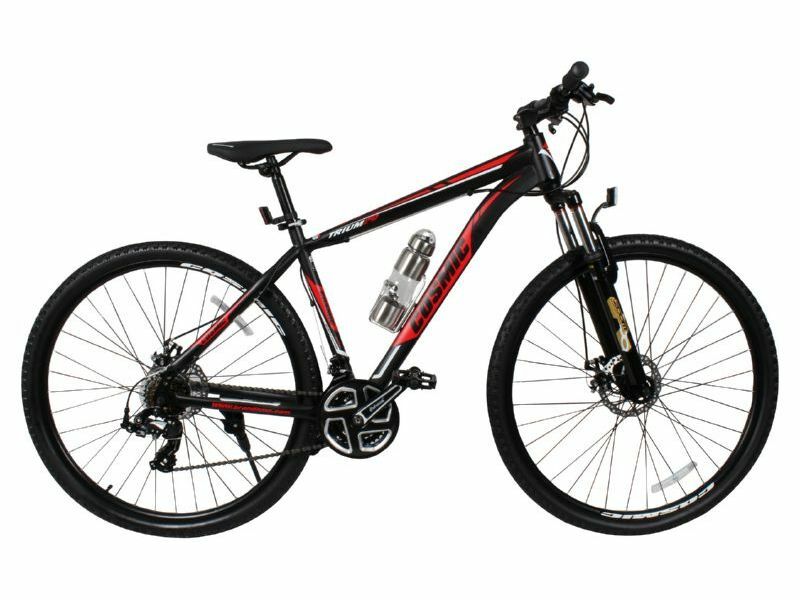 The Cosmic Trium 29 comes with a pair of 29" x 2.125" tires which are attached to Alloy Rims. The price of the Cosmic Trium 29 is Rs.25,000. 2. In what condition will I get the Cosmic Trium 29? 6. 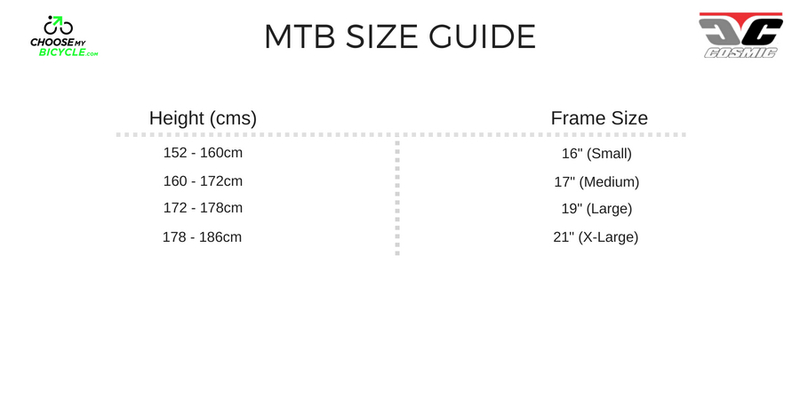 How will I know if Cosmic Trium 29 will fit me without riding it? 7. How long will it take for me to receive the Cosmic Trium 29?